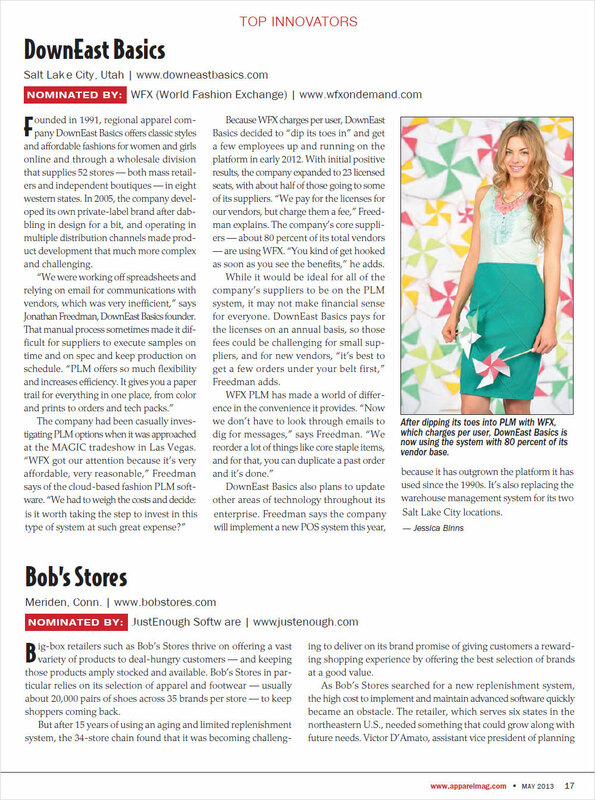 DownEast Basics, an apparel firm that offers classic styles and affordable fashion for women and girls has been nominated as a top 40 Innovator for 2013. 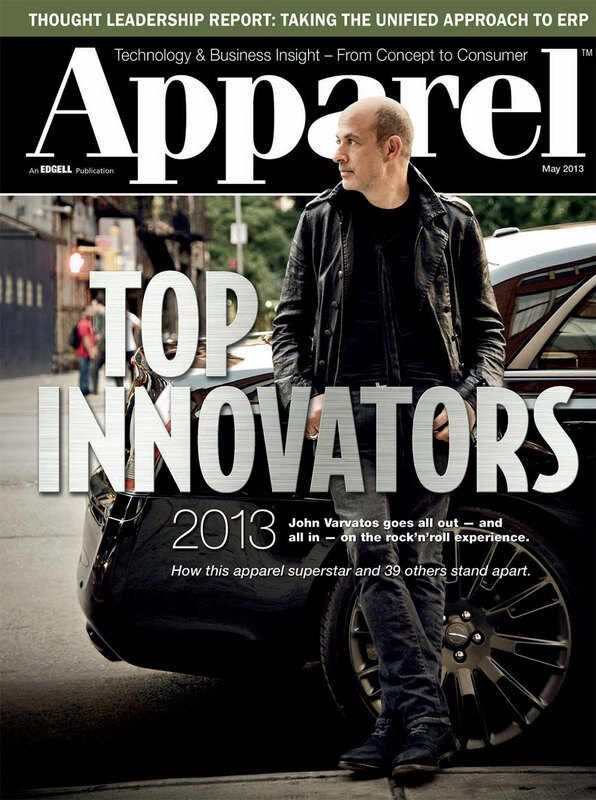 This fast growing fashion firm sells online and via 52 regional stores across the United States. “We were working off spreadsheets and relying on email for communications with vendors, which was very inefficient,” says Jonathan Freedman, DownEast Basics founder. The firm has been nominated for leveraging the Cloud and latest PLM has to offer to integrate their entire product and supply chain on-line. The company has successfully leveraged Cloud PLM to all internal teams & connected the company’s core suppliers - about 80 percent of its total vendors are using WFX Cloud PLM. “You kind of get hooked as soon as you see the benefits,” Freedman adds. WFX Cloud PLM has made a world of difference in the convenience it provides. “Now we don’t have to look through emails to dig for messages,” says Freedman.